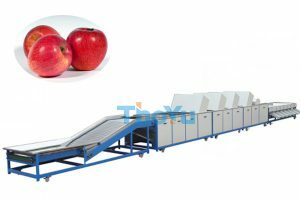 garlic grading machine is used for grading garlic cloves or other fruits and vegetables automatically, such as cherry, tomato, date, sugar orange, persimmon, mango, pear, peach, lemon, guava, kiwi fruit, etc. 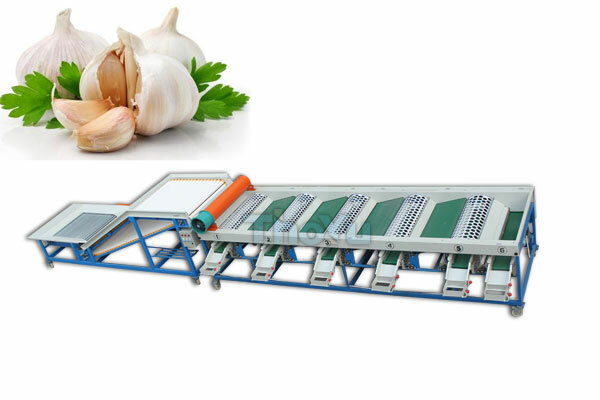 This garlic sorting machine is improved and perfected according to long-term fruit sorting experience, feedback and suggestions of customers. So that it’s very practical and economical. PLC intelligent control, simple operation, high efficiency, accurate sorting. Good quality, low failure rate, long life. The main components are using well-known brand stainless steel and with perfect surface, firm and durable structure. 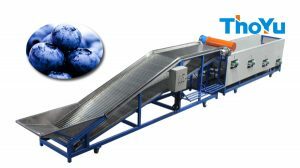 Using imported high elastic material machine surface, ensuring that the fruit will not be damaged in the process of high-speed weighing. It is convenient remove, suitable for small scale work. 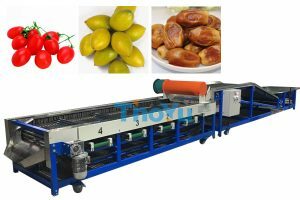 Working alone or with fruit processing device. The flotsam can be conveyed by the waste material conveyor belt and then go into the receiving tank.